TULSA, Okla. (June 6, 2017) The Speedway Motors Tulsa Shootout will once again bring the best drivers in the world to the Tulsa Expo Raceway inside the River Spirit Expo Center in Tulsa, Okla. for a New Year’s Party with Horsepower as the 33rd edition is set to go green on Thursday, December 28, 2017 with the finale on Sunday, December 31, 2017. Leading up to the Mecca of Micro Racing, Preferred Parking will begin on Tuesday, December 26 with all teams then loading in on Wednesday, December 27. Reminder to teams, Preferred Parking does not guarantee that a team will be able to bring their trailer into the River Spirit Expo Center. 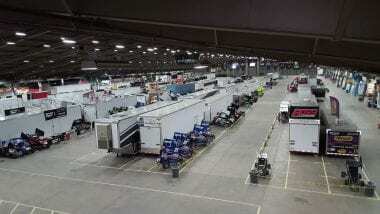 Teams who are allowed to bring their trailer into the Pits must have two cars for every 10 feet of trailer that are participating in the Speedway Motors Tulsa Shootout. Questions or concerns on this can be directed to Matt or Ashleigh Ward at (918) 838-3777. The opening day of racing on Thursday, December 28 will start at 9:00 A.M. with Practice for classes, followed by Heat Races that evening. Start time is tentative for 5:00 P.M. and can change depending on how long it takes to run all teams through their hot lap sessions. 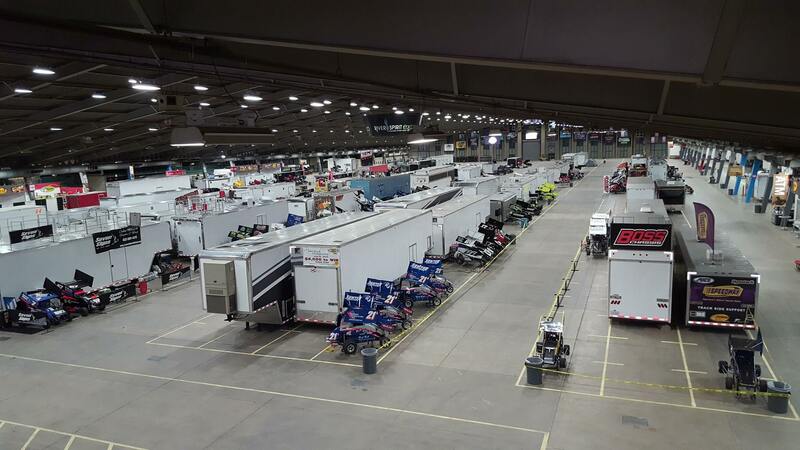 The 33rd edition of the Speedway Motors Tulsa Shootout will see an adjustment to the class lineup with the 1,200cc Non-Wing Mini Sprints removed from the lineup. Winged Mini Sprints will remain. Other classes of competition include A-Class (Wing, Non-Wing, and Restricted), Outlaw (Wing and Non-Wing) ECOtec Midgets, and Junior Sprints for a total of eight divisions. Official class rules are posted at http://www.tulsashootout.com. Any questions regarding the rules must be directed to Matt Ward, who is the director of competition for the Speedway Motors Tulsa Shootout. Contact for Matt include Cell Phone at (918) 995-1650 or the office at (918) 838-3777. Early entries for the 33rd Speedway Motors Tulsa Shootout will begin on Tuesday, September 26, 2017 with entries taken online, by phone, or by fax. Entries will not be accepted via email or social media. Cost is $100 per class. The deadline for the discounted entry fee is Wednesday, December 6, 2017. After that, entries will go up to $120 and will be cut off on Tuesday, December 19, 2017. Anyone wanting to enter after that must do so during move in on December 27, 2017. Where: Tulsa Expo Raceway – Tulsa, Okla.
**Rules for the represented classes can be found at http://www.tulsashootout.com/classes/default.aspx. For any clarification on rules, contact Matt Ward at 918-995-1650 or 918-838-3777. Speedway Motors is the title sponsor of the Tulsa Shootout. Founded in 1952 by “Speedy” Bill Smith – a racer and street rodder himself – Speedway Motors has grown from a one-man operation to become the world’s largest manufacturer, distributor and retailer of street rod and racing products. Our industry-leading fast delivery is the result of same-day shipping from our state-of-the-art, centrally located 500,000 sq. ft. headquarters. Speedway Motors size offers customers unmatched product selection and low pricing, while our excellent technical support and customer service have made us a recognized leader in the rodding and racing industries. Find out more at www.speedwaymotors.com. For more information about the Speedway Motors Tulsa Shootout log onto www.tulsashootout.com. The Tulsa Shootout can also be found at Facebook as well as Twitter.